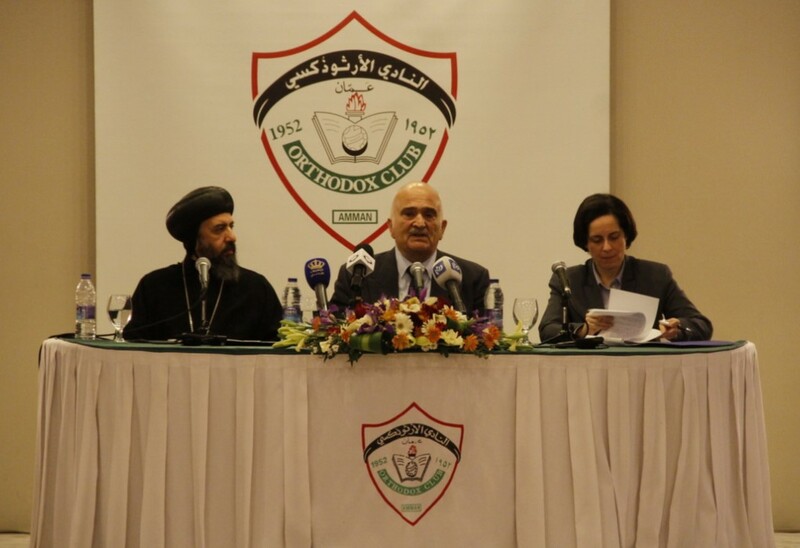 At the invitation and in the presence of His Royal Highness Prince El Hassan bin Talal of Jordan, Patron of RIIFS, His Grace Bishop Angaelos, General Bishop of the Coptic Orthodox Church in the United Kingdom, delivered a lecture at the Orthodox Club in Amman entitled ‘A time for opportunity and hope in the Middle East.’ The lecture was also attended by Dr. Mohammad Nouh Al Qudah, Jordanian Minister for Awqaf Islamic Affairs and Holy Places, numerous Church and Muslim leaders, diplomats, academics, legal and Middle East experts, and members of the Club. 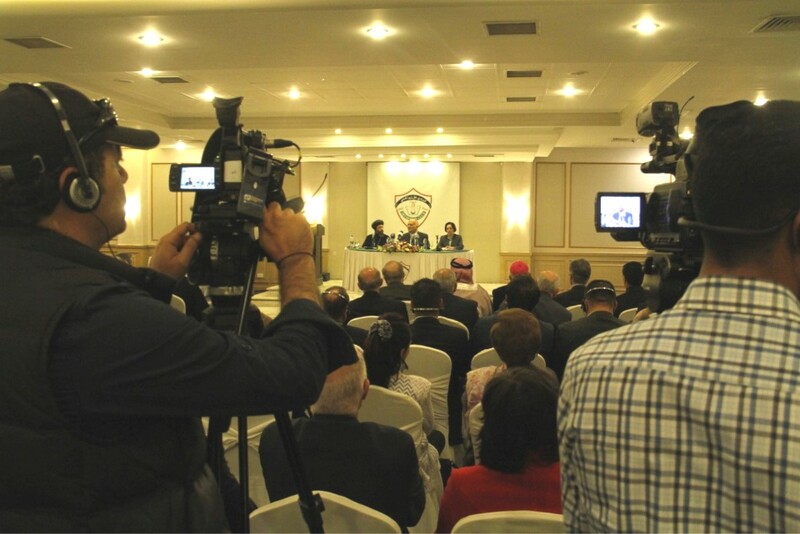 This is an opportunity for us as civic and religious leaders to change the narrative and the expectation that the world has of the Middle East. Many now have no expectation of the region except that the situation will go from bad to worse, and that initiatives will be met with greater failure. We know however, because of our Faith, that there is always hope in humanity, and we must build upon that hope. We need to be hope in an increasing hopelessness, and light in an increasing darkness. It is not enough for us to only lead in good times. Good leadership is especially required at the most difficult of times. Not only is it required, it is essential, because it is at those difficult times that people look to a beacon, and they look to someone to follow. What is required of us as leaders, and what is seen here through this Institute and through this initiative, through His Royal Highness and through this Kingdom, is something that is new and welcomed. These efforts should not only be spoken about, they need to be celebrated. We are told in our Scriptures that we are the ‘light of the world’ and a ‘city set on a hill’ (Matthew 5:14) that cannot be hidden. Our world today needs that light of hope that is able to conquer all darkness…The time has come that we should not only react to messages of hopelessness, but that we become proactive and take the narrative into our hands, demonstrating a new and alternative model to the world. I thank God that we have this opportunity of interacting with love and respect, and not mere tolerance…the message of hope is clear. Yet again I saw the grotesquely disfigured, the amputated; a child who saw his father and uncles killed before him, deprived of the capacity of speech. The reconstructive process is not only of the physical framework of the human but of the attitude. They tell me children are not always drawing monsters, and bombs, but they are beginning to draw the sky and the sea and green pastures. 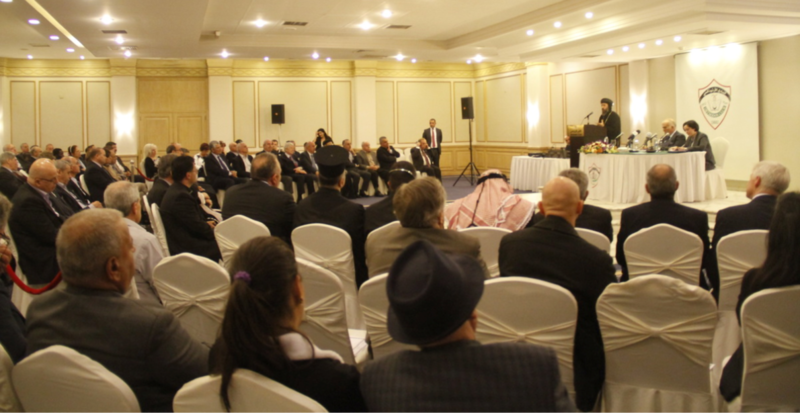 So I would like to pay tribute to the nameless people of many nationalities, including many Jordanians, who have been dealing with the consequences of man’s inhumanity to man. How many families, communities, nations, and regions have to be torn apart before we finally wake up to the importance of change? 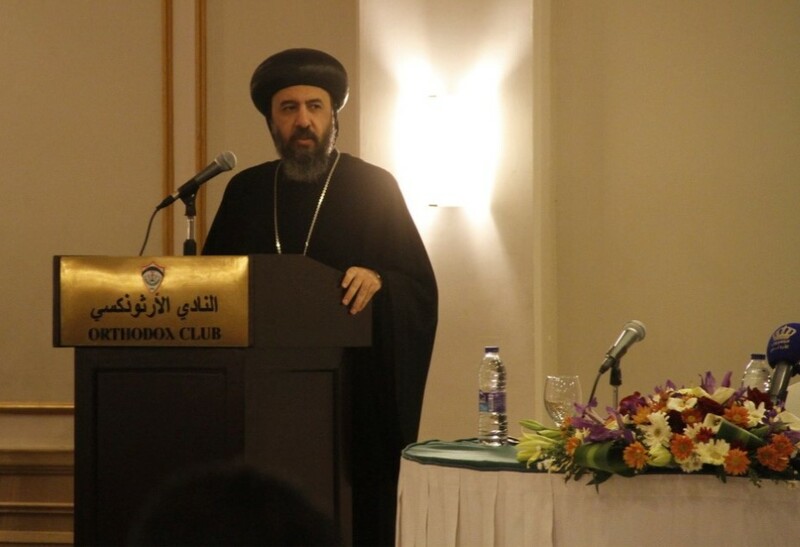 0 Comment(s) to the "Bishop Angaelos delivers address on ‘A time for opportunity and hope in the Middle East’ in Amman, Jordan"